Today, in America is Thanksgiving Day. It is a day of celebration of what we have made of God’s gift to us all. Its history reaches all the way back to our Pilgrim forebearers, who felt called to thank God that they had survived the first year in the Massachusetts Bay. Now it is a day of parades, football, serious overeating, and sleeping off that overeating by sleeping through the football on TV. But I think we all deep in our hearts do remember to thank “The Big Guy” for all we have, and the freedom to enjoy it. 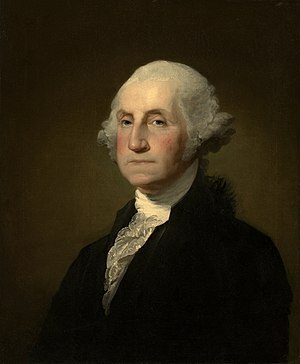 President Washington certainly knew something about dark days, far darker than ours are today, and he (and Congress) thought it fit to remember the Author of our blessings. So should we. That’s the reason for the day put as well as anyone has, ever. And now a year later, I think it meet to report that she has had her first annual examination and is still cancer-free, and so nearly recovered from the ordeal, that she has little memory of it now. She is considering her future, and while I have no inside information, and wouldn’t be able to share it if I did, I believe that it will conform to the prayer from the 1928 Book of Common Prayer which concludes this post. O GOD, who art the giver of life, of health, and of safety; We bless thy Name, that thou hast been pleased to deliver from her bodily sickness Jessica, thy servant, who now desireth to return thanks unto thee, in the presence of all thy people. Gracious art thou, O Lord, and full of compassion to the children of men. May her heart be duly impressed with a sense of thy merciful goodness, and may she devote the residue of her days to an humble, holy, and obedient walking before thee; through Jesus Christ our Lord. Amen. Happy Thanksgiving NEO thank you for your comment and especially for the prayer for Jessica that brought tears to my eyes. I hope she find peace and joy. I think she will, David. Yes, another good cause for Thanksgiving for the AATW family gathered here – thank you for this Neo. An excellent message twice over, Neo. Do pass on my very best wishes to Jessica, who, like all here, remains in my prayers. Happy Thanksgiving day to you and to all our American readers. I shall, Geoffrey, with great pleasure. And thank you, for your best wishes, and all you do. 😀 Do stay for the surprise, I hear it’s a very good one! Well, I shall be here for a while yet – always liked nice surprises – has Bosco discovered his brain? I see now what it was – wonderful! Happy Thanksgiving to all our fellow Americans and may God Bless all of the AATW readers and a special thanks and blessing for God’s Blessing in regards ot our Jess. It is . . . though we, as a family have slowed considerably. Steve his wife and her son are going to join my kids today . . . then we get down to the serious watching of the football games. Hope I don’t fall asleep. Haven’t we all though? I usually do, no matter how I try not to. Go Bears! Thank you Dave – and I am told we have a surprise up at 5 pm my time – which is in about 45 minutes! Yes, another thans to be offered when we sit to sup this afternoon as we revel in the blessings that we have received this past year.